Serralves (Porto, Portugal) is one the most important cultural institutions in Portugal, giving voice and announcing cultural works in a multitude of disciplines and contemporary arts. The foundation is by itself a work of art, comprising three infrastructures, The park and its gardens, Contemporary Art Museum, and Serralves Villa. The institution (as Serralves Foundation) saw its start after the 24 of April revolution (1974), as the appropriate place to host, consolidate and exhibit all the artworks produced by that time, giving thus home, voice and expression for contemporary artists. The lands were bought by the Portuguese government in 1986, and in 1989 the Serralves Foundation is created (Decree-Law 240-A/89). As an icon, Serralves as we know it was born much earlier by the hand of one man with a refined sense of taste, Carlos Alberto Cabral. Serralves is located in what used to be the lands of the Cabral family’s summer residence, renowned businessmen in the textile sector and managers of the Fábrica de Fiação e Tecidos do Rio Vizela (Vila das Aves, Negrelos). The Cabral family , settled in Oporto, with a fortune gathered mostly from business in Brasil, and also in Portugal, with interests in the textile industry, most noticeable in Vila das Aves, place where the biggest textile mill of the country was located – Fabrica de Fiação e Tecidos do Rio Vizela (Negrelos), as part of the managing partners and founders. The connection and history of the Serralves property with the Cabral family starts with the marriage of Maria Emilia Guimarães with Diogo José Cabral. Maria Emilia Guimarães buys the property at the time of her marriage. Later, after the death of her husband, she will increase and modify Serralves, adding the chapel (in 1882), among other changes. Carlos Alberto Cabral (✼ 14/07/1895 – ✝︎ 1968) was the person responsible for Serralves as it is known today. Son of Diogo José Cabral (12/12/1864 – 24/12/1923), the first count of Vizela, and Raquel dos Reis. As a child, Carlos divides his childhood between the center of Porto and the rural outskirts of the city, for him, his grandmother’s lands located in what was known as Quinta de Lordelo, and the family’s summer residence in Rua de Serralves. With an education strongly influenced by the French culture, Carlos Cabral becomes an extremely well educated man, combining to this, a strong sense of business and vision as an industrialist in the textile sector, strongly marking his passage as administrator of the Rio Vizela factory, where he made deep changes in the manufacturing system, bringing significant progresses. Carlos Alberto Cabral becomes the full owner of Serralves (though temporarily) , by expressed will of his father in his testament (pag 90, Diogo José Cabral, last will, A-PUB/5422 – f. 83-100) but with some restrictions, namely about the chapel commissioned by his grandmother. As his father wrote, the chapel should be administered and preserved by Carlos, simultaneously receiving dividends of 60 shares of Banco Comercial do Porto that his grandmother had left him in inheritance to support himself and as long as the chapel was maintained. In an addition to his first will, Diogo José Cabral changes the rights on the property of Serralves (in the meantime extended by Diogo) from his son Carlos, to his wife Gabriella M. Cabral. After her death, part of the property (Mata-Sete) should go to Diogo Eugénio Cabral and the rest to Carlos Alberto. Carlos exchanges parts of his inheritance with the part of Serralves belonging to his brother Diogo, thus becoming the sole owner of the estate and creating the opportunity to make the changes we was willing to do on the property. The tendency for remodeling and to create something truly unique in a dwelling were already well-known in the count’s cosmopolitan and modern attitude, notorious in the extensive remodeling of his house in Biarritz (Villa Velleda, currently Villa le Manoir, Av Général Mac Croskey, Biarritz). In 1925, after a visit to the Exposition internationale des Arts décoratifs et industriels modernes (held in Paris, 28/4/1925 – 25/10/1925), Carlos Alberto Cabral finally finds inspiration and ideas through the exhibited works of some architects present at the exhibition, two in particular capture his attention,Charles Siclis (architect and decorator, in the 1925 exhibition he was responsible for the pavilion and gardens of the Clichy plaza) and Jacques-Émile Ruhlmann (Furniture and interior designer and a master in Art Déco, as seen in his decoration of the L’Hôtel du Collectionneur in 1925). After the incursions of Carlos Alberto Cabral to the Paris Expo, and the decision taken to remodel the spaces and house of Serralves were taken, contacts between him and some of the architects present at the Expo were made to set the project in motion. Charles Siclis (✻ 1889 – ✝︎ 1942) is contacted by the count to be the main architect. With innovative and progressive ideas on what architecture and spaces should be, Siclis considered that space should act as a therapeutic treatment and way for the perfect balance between mind and body for anyone inhabiting carefully designed architectural spaces, providing absolute well being. For Siclis, no house would be the same as another simply because each will have to be designed specifically according to the personality and characteristics of those who will inhabit it. Jacques-Émile Ruhlmann (✻1879 – ✝︎ 1933), considered today one of the most important figures of the Art Déco movement, Ruhlmann was an unsurpassed furniture designer and interior decorator. Although never receiving training or performing practical work on the furniture making, Ruhlmann conceived all his artworks both in his mind and drawings, personally supervising all stages of manufacture entrusted to carefully chosen employees. Ruhlmann, will end up dying in 1933 leaving the completion of his works, among which the decorative pieces for Serralves. His nephew Alfred Porteneuve. Porteneuve will be in charge of completing them, fulfilling with the orders made to his uncle’s atelier, but without any intervention or adding any pieces of his own to the Serralves orders. However, it will be responsible for one of the most emblematic features of the house of Serralves, its rosy color, inspired by the color of a small gallery found in Museu Machado de Castro (Coimbra) and that Porteneuve had visited. Jacques Gréber (✻ 1882 – ✝︎ 1962), will participate in the landscape architecture for the park and gardens of the Serralves property, using his knowledge to create a fluid and symbiotic garden space, fully integrated with the space and surroundings. José Marques da Silva (✻ 1869 – ✝︎ 1947), one of the biggest names in Portuguese architecture will be the person contracted by Carlos Alberto Cabral to supervise and implement (and eventually modify) the projects made by Siclis, Ruhlmann and Gréber, and advising the count on the project. It is also of Marques da Silva authorship some of the preliminary sketches that served as foundation for some parts of the project and some decisive marks for future implementation of some of its structures. The different phases of the project were accompanied by Carlos Cabral who intervened making specific requests to the architects as well as during the construction works. eventually, all the architects ended up working on something that another had already started or made some kind of intervention. Many other reference names also have participated in some form or another in decorative details fo the Serralves Villa, names like Raymon Subes and Edgar Brandt (Paris, Art-Déco, Ironworks), Da Silva Bruhns (famous for its tapestries designs), Réne Lalique (skylight design)and many others of that same period. It is Carlos Cabral who unites all ideas, points of view and people from different quarters, leading them to a consensual, homogenous and representative vision of what Serralves’ aesthetic should be, probably bearing in mind the future relevance of the concluded work. With the contribution and intervention of the Count’s personality, Serralves would become an extension of himself, giving the house and the entire property, an enigmatic and magnetic soul that we still recognize to this day. Carlos Alberto Cabral and his wife Blanche moved to Serralves in 1944, inhabiting their new home for a brief period (ca. 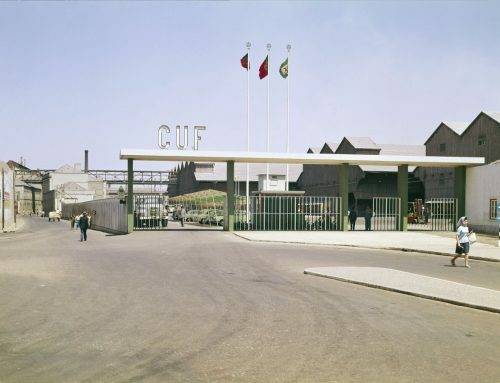 7 years) until it was finally sold to Delfim Ferreira ( Riba d’Ave count) in the early 50’s due to financial difficulties of Carlos, as a result of the contraction strongly felt in the Portuguese textile sector, underdeveloped or updated compared to other countries, which led to the closure of many companies. An agreement between both worked as a safeguard clause so that the property and house were never subjected to changes by its new owner. Although the gentlemen’s agreement was entirely fulfilled, much of the interior decoration of the villa had already been sold, remaining scattered to this day in public and private collections. The Ferreira family eventually sold the estate, becoming a state owned property in December 1986, bought by the Portuguese government, who envisioned a future modern art museum to be located in the property. This decision was fairly in line with the recent promotion of contemporary art in Serralves between 1974 and 1980. By 29 May 1987, the property was opened to the public. 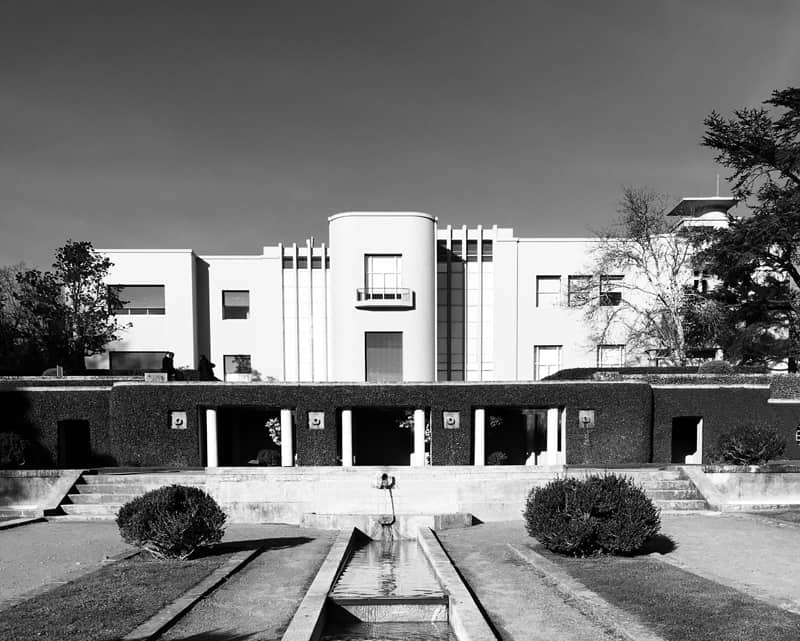 Serralves Museum was inaugurated in 1999 (6 June), a project of the architect Álvaro Siza (Matosinhos, 1933), contracted by the Foundation in 1991 to create and plan the future National Museum of Contemporary Art (previous desig.). The Museum is by itself an architectural work of art, worthy of the place where it is inserted and that would certainly fill Carlos Alberto Cabral with pride. From simple residence, the dream of the count and his aesthetic needs allied to an architectural confluence of different points of view, and that remained intact over time respecting the will of the former owner, transformed Serralves into something completely unique and that transcends a simple visit. Serralves - Fountain, central parterre.